If you have a Final Salary (otherwise known as Defined Benefit) pension and have left that employer, you may wish to request a current Transfer Value. The TV (commonly referred to as a CETV) would be provided by the scheme administrator and you could be pleasantly surprised by the amount offered, due to the very low yield on gilts. However, you would not be obliged to transfer. Fiducia’s vastly experienced and well qualified technical pension specialists can provide you with detailed unbiased transfer analysis. This will include a projection of the benefits that should be available within the scheme once you reach your intended retirement age and a projection of the comparative benefits available if you were to transfer. 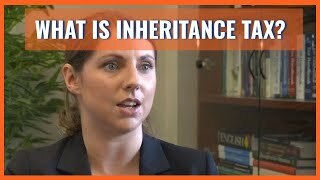 We would also explain the increased flexibility the transfer would offer, the means by which the value can be passed down to other family members without Inheritance Tax liabilities, and highlight the risks involved. Whilst the secure income provided by the Final Salary schemes is extremely important to some, these do not allow you to draw a higher level of income to meet an unexpected cost and the assets that can be passed on to children is usually minimal, or nil, or pay for a once in a lifetime holiday/tailor your withdrawals to receive them tax efficiently/ in accordance with your planned retirement lifestyle. This additional flexibility is likely to be more attractive than ever at the moment, as Transfer Values offered should be higher. This is important as this will increase the value of the prospective, alternative plan and simply means there should be more funds available for you to spend and pass down to your beneficiaries. on 15.06.17	Read It’s been another busy month in Dedham with further qualifications gained and a new member joining the Fiducia team.